Use a reusable shopping bag when you go shopping. You can either reuse the old plastic bags you got at home or buy your own reusable shopping bag. There’s been a lot of talk about the use of plastic bags in grocery stores in the past few years, especially after some countries adopted the law, which dictates stores not to provide costumers with free plastic bags at the registers. 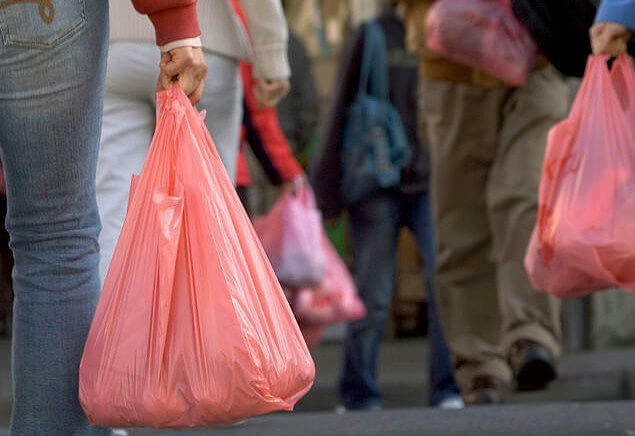 The latter had some positive response since the use of plastic bags dropped in most of those countries, but in general, the consumption remains too high. The latter happened in our country a few years back. And let us say, that we were really mad at first. We were totally used to the fact that you get a free plastic bag to carry groceries home. Not to mention the additional cents we started spending on plastic bags – on average one costs around 0.10 – 0.20 €. Which on average adds up to 100 € per individual yearly. But sadly, we soon got used to it, most of us did. Instead of using less plastic bags – we really hope that was the main reason behind this law and not to make additional money – most of us got totally used to buying them. While spending a few weeks in the US last year, we were really surprised, that they still offer free plastic bags at the grocery stores. Although we’re not sure if that’s true for all states. Moreover, most of them have employees putting the stuff you buy in plastic bags, and to prevent customers’ displeasure they end up using 4 or even more bags, to make it suitable to carry heavier loads. That way we normally ended up coming home with more than 10 plastic bags. 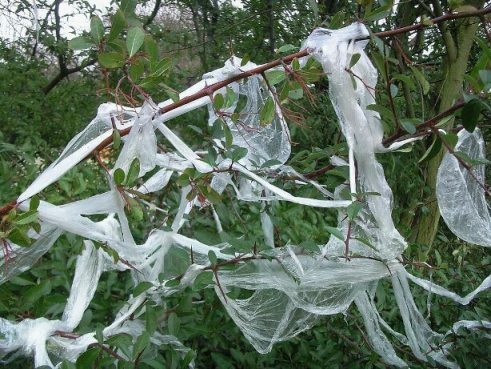 Let’s lay down some disturbing facts about plastic bags and even crack open a few myths connected to them. You’ll even see that they are not all bad, it’s us humans who turn it all into a disaster – the pollution by plastic bags. On average, plastic bags are used for 25 minutes. It typically takes over 500 years for a plastic bag to disintegrate. Most of the European countries support a ban on single-use plastic bags, but the average European still uses about 500 plastic bags per year. In the US, there are less than 5% of shoppers using canvas, mesh or cotton bags. 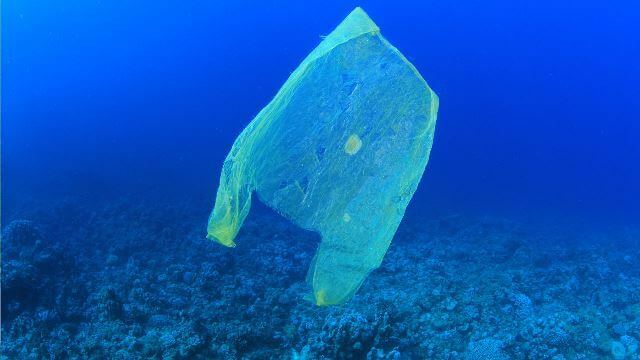 A plastic bag remains toxic even after it degrades – it breaks down into very small toxic bits of itself and as such contaminates the environment. Because they are extremely light and aerodynamic, it is very hard to contain them – they usually escape with the wind. 90% of all grocery bags are plastic. Since plastic bags are made of polyethylene which is a petroleum product, its production contributes to air pollution and energy consumption. All known species of sea turtles have serious problems with entangling or ingesting a plastic bag since they can’t differentiate between a plastic bag and a jellyfish. Americans throw away around 100 billion plastic bags per year. Manufacturers use about 12 million barrels of oil to produce that number of plastic bags. 3.4 million tons of plastic carrier bags are produced each year in the EU alone. 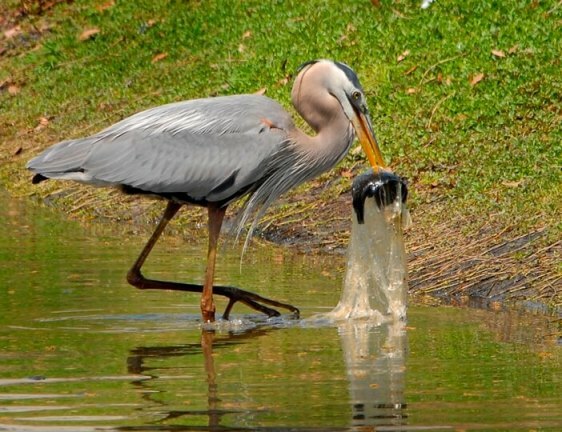 Approximately 1 billion seabirds and mammals die by ingesting plastic bags each year. 80% of marine litter is plastic (that’s not only plastic bags fault, though). If you think about it, it’s quite disturbing and ridiculous to make something last for 100s of years if it is being used for only a few minutes. Right? It kinda makes you think if we really can’t come up with something better. Apparently not, the best solution remains to use reusable shopping bag. There are compostable plastic bags being produced and promoted, but you have to know that those won’t break down on their own, they must be sent to an industrial composting facility in order to do so. Moreover, compostable plastic bags can’t be recycled! Roughly speaking, they could be just another marketing scam. Many stores now offer paper bags under the pretext of those being way eco-friendlier. We’ve decided to break it down for you, to inform you, that using a paper bag is a very poor compensation. In many ways, they’re even worse than plastic bags. A real shocker: All environmental impacts related to air emissions, water emissions, and solid waste are significantly greater for those of paper bags than those of plastic grocery bags. That is production wise. Plastic bags typically use 40% less energy to be produced than paper ones. Paper bag production generates over five times more solid waste than that of plastic bags. Paper bags generate 50 times more water pollutants than plastic bags. Paper bags generate 70% more emissions than plastic bags. Even to make paper bags from 100% recycled fiber they use more fossil fuels than to produce plastic bags. Recycling plastics takes over 90% less energy than to recycle the same amount of paper. Can you recycle plastic bags? Are plastic bags recyclable? Those or similar questions are often answered in misleading ways. A lot of “green fighters” claim that plastic bags can not be recycled or at least not properly. We understand, that they probably say that to persuade people to stop using them, but since one of our main mottos is to be honest, we feel obligated to tell you the truth. Then it is up to you to make the right choice. Plastic bags are 100% recyclable. But that fact is totally irrelevant if we don’t recycle them ourselves. Only 1 – 3% of plastic bags are recycled worldwide (totally our fault, fellow Earthlings). Only 1 in 200 plastic bags in the UK is recycled. Some supermarket chains have an at-store plastic bag recycling program. Recycled bags are more expensive than ordinarily produced ones. Now you know enough to realize, that you simply have to do your best to perform this week’s challenge. Really try and do as much as possible to change your habit, to reduce the possibility of creating concerning, ugly and harmful sights like the one shown in the photo below. Even if you’ll buy a reusable bag, you’ll still have to deal with plastic bags from time to time. Sometimes you’ll simply forget to take your reusable bag with you or you’ll buy some new clothes and won’t remember to stop the cashier from putting them into a plastic bag and before you’ll even realize, you’ll be bringing it home. 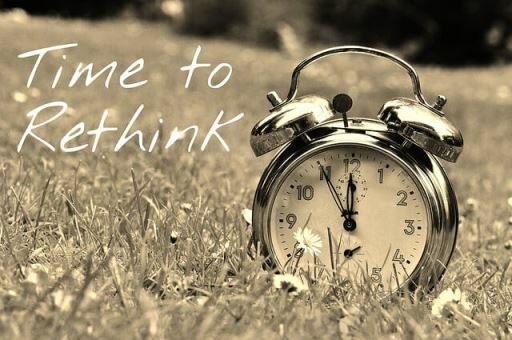 That’s the time to remember the fact that plastic bags are 100% recyclable. Put them in a trash can for plastics. In case you don’t have a trash can that allows you to recycle properly, you should seriously consider buying one. There are many good recycling bins available nowadays. For those of you who don’t want to carry a potentially heavy shopping bag, we recommend using a folding shopping cart. We always keep one in our car, that way we don’t even use public shopping trolleys anymore. Which brings us to an additional plus side – you avoid touching those nasty handles filled with germs. When we first started using our reusable shopping bag it happened quite often that we had forgotten to take it with us when we went to the store. Then we bought additional reusable shopping bags and put them in different locations – we have one in our car (right next to folding shopping cart), in our kitchen, in our closet in the hallway and one in our bicycle bag. And since we’ve done that we’ve almost never gone to the store without one. We really suggest you do the same since you usually get more than one reusable bag in a pack anyway. 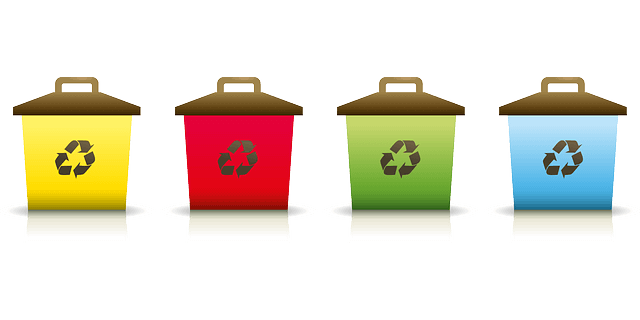 recycle – use recycling bins. If you have any comments please leave them via the comment form below. This entry was posted in Challenges and tagged are plastic bags recyclable, can you recycle plastic bags, plastic bag recycling facts, plastic bags disadvantages, plastic bags facts, plastic bags in the environment, plastic bags problems, plastic vs paper bags, pollution by plastic bags. ← Why helping others is important? The fact that it takes 500 years for a plastic bag to disintegrate is insane! And like you say, for just using it around 25 minutes. At the grocery store in Canada that I go to we also get free plastic bags. And sometimes you just have a few items but you get 3 plastic bags. I use the plastic bags as containers in a trash can for example in my bathroom. So I don’t just throw plastic in it. Then you throw that in the regular garbage. Will the plastic bag get recycled then? We don’t know exactly how things are in Canada. But we seriously doubt that they recycle bathroom waist from plastic bags once they’re mixed up. Using plastic bags for all types of trash is a really bad habit. It is very practical, since most people simply use the free plastic bags they got in the store. But plastic bags should be only used for plastic waist or empty cans. Not for other types of trash. Our suggestion for bathroom and other mixed waist is to either use no bag at all and then just take out trash by taking your bin and empty it strait to the appropriate dumpster – that can be really unpractical and you have to rinse/wash the bin very often. So, a bit more comfortable solution is to use eco-friendly bags – which are made out of polyethilen instead of PVC. We sure hope you’ll find our answer useful. It seems it hasn’t really put much of a dent in the consumption of plastic bags as people still need the bags to take shopping home. What I am curious about is where the money goes does it go back in to clean up costs from the damage we have caused? Hi, Your article really got me thinking, I also use the plastic bags from the grocery store for waist in the kitchen and in the bathroom, I see that you recommended PVC bags. For the trash I also buy big plastic bags, Do you have a recommendation for the garbage in general, Where do all the plastics bags that go in the trash end up in your country? In our country we are obligated to recycle by law. We have to separate our trash into 5 groups (5 types of public trashcans): plastics, glass, paper, organic waist and others (bathroom waist, clothing, diapers …). It’s very simple with plastics, since you can just put them in a plastic bag and trash it all together. For paper we try to use paper bag so we can do the same, if not (if you use a plastic bag) you have to get individual paper object out of the bag before trashing it into public trashcan. Latter can’t be avoid with glass. And you have to be careful to use organic bags for organic waist. When garbage truck come they use different compartments for different types of garbage. Glass, plastics and paper are usually taken straight to recycling facilities while organic trash and mixed waist is taken to “trash depot”. Hello, good earthlings, another great challenge and one that shouldn’t be too hard to do. Here in New Zealand, plastic bags are free and get used all the time. Not very often I see a person with reusable bags, even though you can buy them in the store. It is a very good idea to keep bags in different places as you suggested in your post. What really surprised me though was the fact that paper bags are not a good alternative either. Love this challenge and will give it my best.